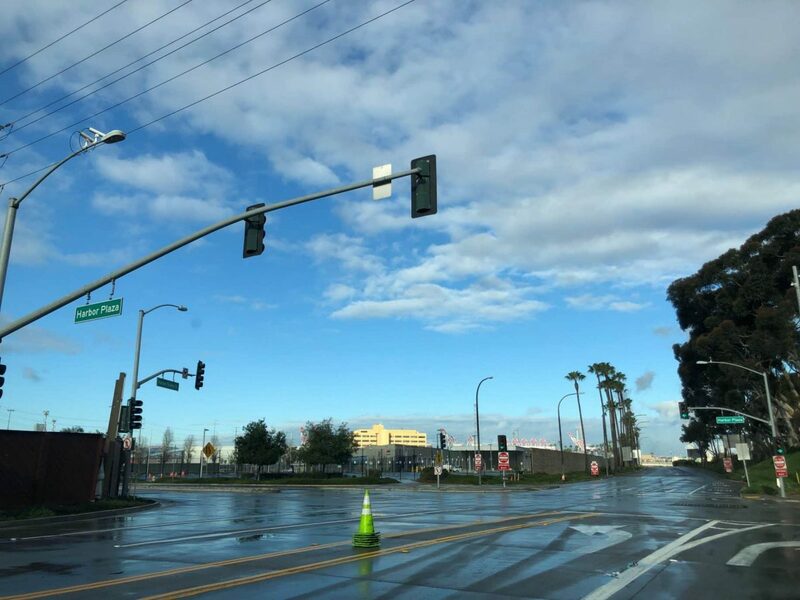 An officer-involved shooting occurred in the 900 block of Harbor Plaza Saturday, Feb. 9, 2019. Photo by Stephanie Rivera. A police officer unintentionally fired his weapon during a traffic stop near the One Love Cali Reggae Festival Saturday night, injuring a man from Compton, authorities said. The man, who was not identified, was transported to an area hospital with non life-threatening injuries, the Long Beach Police Department said in a statement Sunday morning. He was later released from the hospital. The shooting occurred after a traffic stop at 11:34 p.m. Saturday in the 900 block of Harbor Plaza in Downtown Long Beach. During the traffic stop, police found a loaded firearm and open alcoholic containers in the vehicle, which was occupied by five people, police said. The officers then requested assistance with the traffic stop. “Once additional officers arrived on scene, an officer unintentionally discharged their firearm,” police said in the statement. The officer was not identified. The driver of the car, a man from Compton, was hit in the right arm. The others in the car—a woman and man from Compton, a man from Carson, and a boy from Paramount—were not injured. The shooting will be investigated by the Long Beach Police Department Homicide Detail, police said, and the Los Angeles County District Attorney’s Office will conduct an independent investigation. Anyone with information regarding this incident is urged to call Homicide Detectives at (562) 570-7244. Anonymous tips may be submitted through “LA Crime Stoppers” by calling 1-800-222-TIPS (8477), downloading the “P3 Tips” app to your smart phone (available at the Apple App store and Google Play), or visiting www.lacrimestoppers.org. 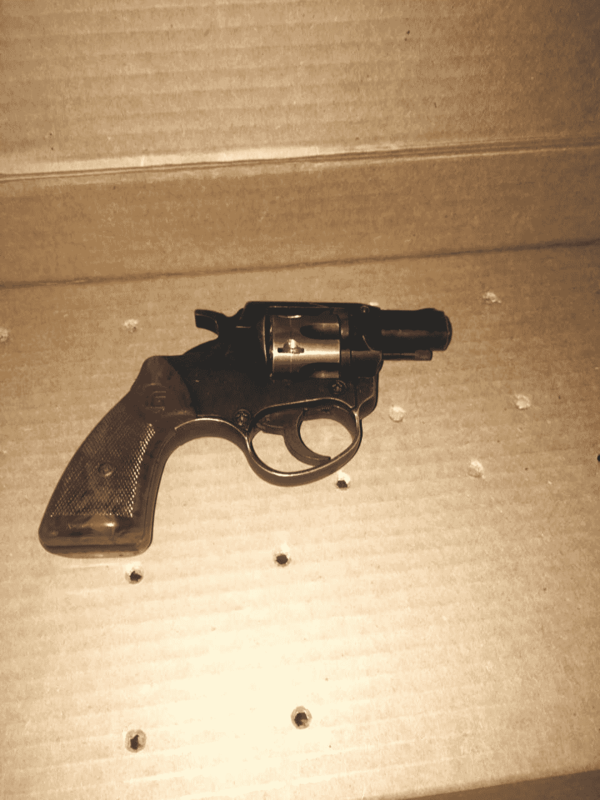 Long Beach police released this photo of a gun recovered from a car during a traffic stop Saturday, Feb. 9, 2019, in the 900 block of Harbor Plaza.